Andy Ames is a familiar name in the Colorado running world. For over three decades he’s been racing hard and notching wins at a huge variety of road, trail and mountain races. And his history with the Horsetooth Half Marathon is especially impressive. 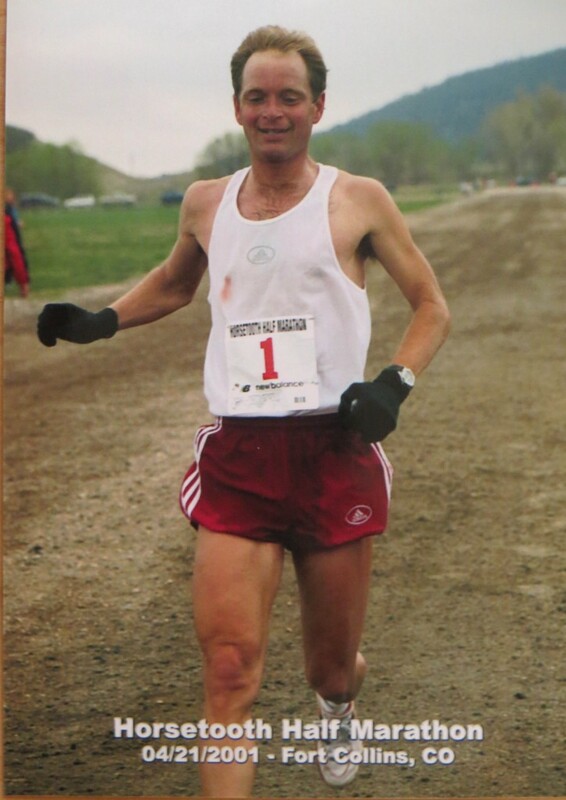 This year, the long-time Boulder resident, will be running his 15th Horsetooth Half, and at the age of 53 should still be considered a threat for his 12th podium. Andy is a four-time winner of the Horsetooth Half Marathon, with a personal best on the classic course of 1:11:15. 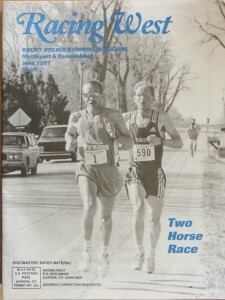 But Andy’s history with the Horsetooth Half is just a small part of his running and racing story. It seems the older he gets, the more successful he becomes. In 2004, at the age of 41, Andy made the U.S. Mountain Running Team, placing 47th at the World Mountain Running Championships in Sauze d’Oulx. He is also a multi-time masters national champion in trail running, mountain running, cross country, and duathlon. And in 2013, he was an age group duathlon (run, bike) world champion. As quickly becomes apparent Andy’s racing accolades are many, but the recently retired bike industry professional rates his longevity in the sport as the one thing that he is most proud of. And that’s simply a great attitude to have. In our quest for faster times or longer distances, we may occasionally lose sight of the fact that it’s the miles logged on the way to the start line that are really what this sport is all about. The racing is no more than a celebration of that journey. And at the 43rd running of the Horsetooth Half Marathon on April 17th, Andy will be toeing his 15th start line, celebrating that journey with over 1,500 other competitors. In the following interview, Andy shares a few pearls of wisdom on the history of the event and on how best to race and prepare for it. Andy, you’ve run the Horsetooth Half 14 times. Do you recall how many versions of the course you’ve run and do you have a particular favorite? And outside of the Horsetooth Half, what other Colorado races do you particularly enjoy? Two versions: the old “classic” course starting and finishing by the stadium and the current version. When I first ran the race much of the road along the reservoir was still dirt with a couple of cattle guards. For me, the old course was ideal. I loved the way you could break it up with the flat early miles, rolling hills along Bingham road, and then the big hills along the reservoir. I really like hilly races, especially ones that take me to scenic places. I mostly concentrate on trail and mountain races now. You’ve won the event four times and been on the podium 11 times. Do you have particular memories from any of those races, ones where you had to dig deep to pull off the win or where you pushed as hard as you could but came up just a bit short? Three races stand out to me. 1990 was my first year. I was able to hang with Peter Williams, one of the top runners in Colorado, in the early miles. He pulled away on the Bingham hills but then I was able to stay fairly close the rest of the way. It was really exciting for me to be that close to a runner of Peter’s caliber and I think we both finished under Jon Sinclair’s course record of 1:12:56 (ed: Peter won that year in 1:12:08, a then course record that Andy would go on to reset in 1998 at 1:11:15). 1995 was another exciting year and close finish. It was really cold and windy. Over the hills I soon found myself with an old college team mate from CU, Chuck Trujillo. Back at CU we were not even in the same league as Chuck was one of the best around but here we were together sharing the lead and trying to break each other over the hills and into the wind. I knew Chuck was a lot faster than me so my only chance was to get away. Unfortunately, we came into the home straight together and he easily kicked ahead. Finally, in 1998 I was on a really good day despite an awkward start. I was the last one through the bathroom line so the race was just starting as I got out. That really got my adrenaline going and I was able to get through the pack pretty quick and settled in behind the lead relay teams. They proved the prefect pacers and by the Dam Hill I took the lead and cruised the rest of the way to finish in a course record. 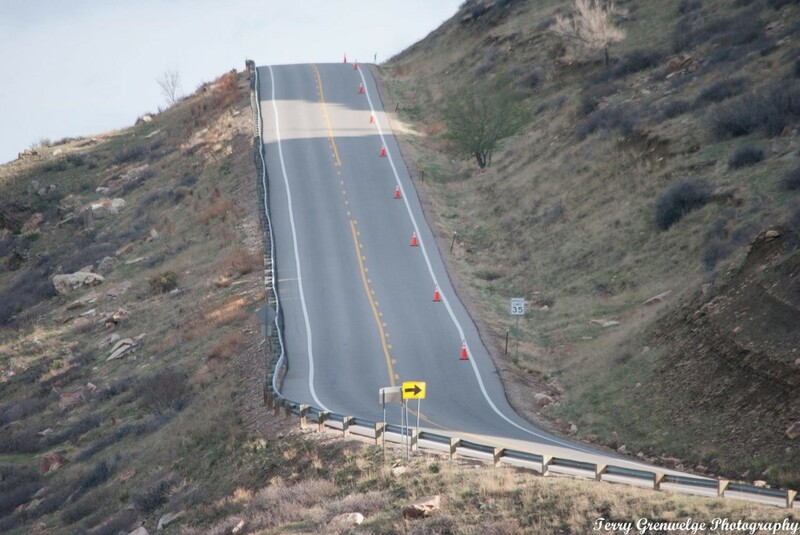 People tend to be a little intimidated by the hills at the Horsetooth Half, but we always like to remind them that it’s actually a net downhill race. Thinking back over your experiences with the race, and running hilly courses in general, do you have particular advice on how best to run a course like this? I love really attacking hills so I have to keep reminding myself that now with the hills at the beginning the race really starts once you hit the flats on the path. My main advice in a race like this is not to pay too much attention to mile splits. They will likely be all over the place the first few miles so it is better to concentrate on running at an effort level you know you can keep up the whole way. We’re five weeks out from the race now. What would you be emphasizing in your training at this stage of the cycle? Right now I am mostly concentrating on hills and miles. As I get closer to a race I try to simulate the race course more so in this case hills early on and then flat to finish. We have a lot of runners coming in from out of town to run the race. You’re from Boulder, kind of a similar town to Fort Collins in many ways, but if you’re in town do you have particular things you like to do and can recommend to those traveling to the race? To tell you the truth, most of the times I have been to Fort Collins has been to race! I’ll often do a cool down run or walk after the race and find it nice to go along the river and look for fish or maybe even a Bald Eagle. We’re putting up a $4,000 purse this year, including $250 for the master’s win. You going to be in the mix? How’s the fitness? I always go into races secretly hoping to win. Of course, that is getting less and less likely now as I get older and even in the master’s division there will be a lot of younger runners. I am getting pretty fit, though, and will certainly give it my best. We’d expect nothing less. All the best in your 15th running, and hopefully we’ll see you on another podium!